One question that seems to come up quite often to me is how pre-existing medical conditions affect an auto accident claim. Oftentimes, clients come to me after their claim has been denied or some, nominal settlement offer has been made and elicit my help in getting to the bottom of this issue. Auto insurance claims adjusters will always latch on to a prior medical history of complaints as a means to reject or reduce payouts. What does the law say on this issue? Proving exacerbation requires a medical opinion and oftentimes diagnostic studies like X-rays or MRIs, which can be compared to the medical records and films that were taken during the diagnosis and treatment that occurred at the time of the prior injury. 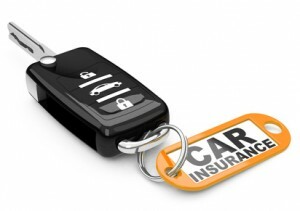 If you are presently in a dispute with an auto insurance carrier about whether or not their insured is liable for your injury due to a prior medical condition, it is best to consult with an attorney familiar with these issues and have that lawyer review your medical records and discuss these issues with your treating physicians. In fact, it is best to immediately, consult with a personal injury lawyer prior to engaging in discussions with insurance claims adjusters and other representatives at all. Oftentimes, claims personnel will attempt to find out your entire medical history and obtain medical release authorizations to do so if you are not represented by a lawyer. Only injuries to a same or similar body part are relevant and your medical history should be guarded accordingly. Obtaining the help and assistance of an experience accident attorney can make all the difference in these cases! For a full discussion of this issue and other common disputes that arise with insurance companies following an auto accident, click here.